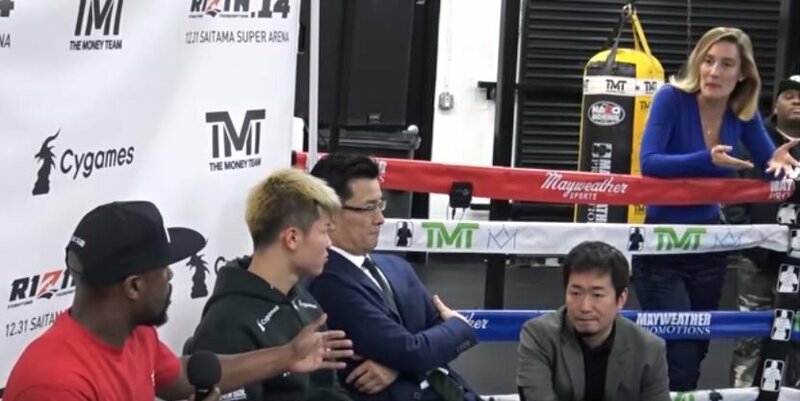 The bizarre nature of Floyd’s press conference in his boxing gym in Las Vegas announcing his upcoming three round boxing exhibition with a kick boxer is still being deciphered by various combat sports media outlets at the moment. The whole thing is really, really strange. Sure, it’s a cash grab, we get that. One that Mayweather claims he will get paid more for than last week’s heavyweight title fight between Deontay Wilder and Tyson Fury did. Although, that’s hard to understand that particular train of thought, as there seems very little actual interest in this Mayweather exhibition. Even though he’s a huge name, people just are not interested in this kind of stuff anymore from him. It’s gone too far. A Pacquiao rematch next year would be watched however but this, God only knows really. At least with the McGregor fight last year there was a bit of credibility too in that the Irishman was at least a standup fighter in the UFC and had an amateur boxing background — as well as the huge interest in the fight because of the clash of personalities.